Unfortunately this summit is isolated, Spruce covered and not terribly attractive, on the plus side it is easily bagged, using track/s the whole way. Half an hour or so will easily take it in if nearby. Start at O0643223039 A as per sandman's instruction, although parking is very tight here, the access road being very narrow. An alternative is to take the next cul-de-sac east off the R114.Go to forest barrier at O0728823554 B where there's loads of parking. Follow the track West to the top at O0595723373 C.
What's the opposite of a stark warning? I parked at point B which offers a long distance view towards Dublin Bay. As I was putting on my boots an SUV arrived with two men in camouflage. The guys picked up an unassuming overturned "no entry" sign from the ground and commented on how it must have fallen away, before putting it back up. 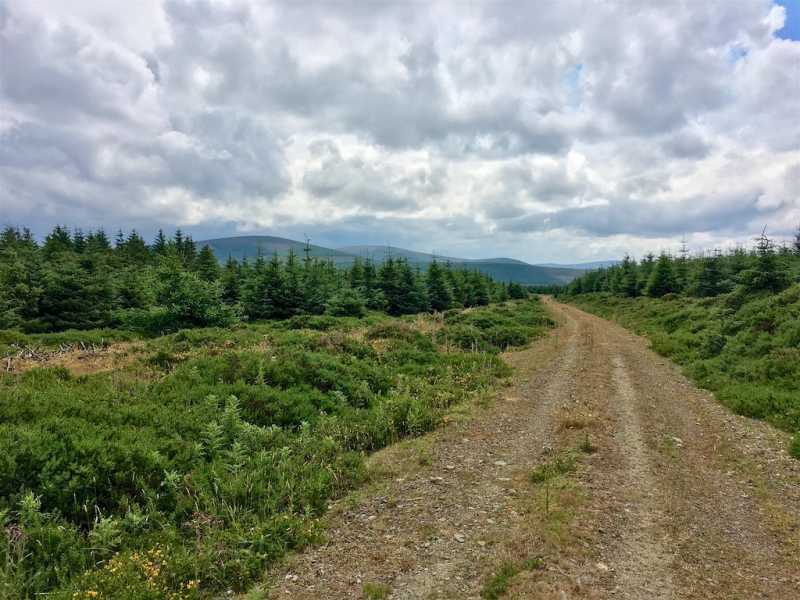 Seemingly oblivious to my presence or objective, I of course made enquiries about access to the forest track and it seems that deer stalking licences cover the forest of this Hill and the Ballinascorney forest that extends north from Seahan. The men warned that if a (very plain) sign has been placed on the forest barrier that stalking is taking place! I told the guys of my objective and they suggested my route along the forest road in my bright red jacket should be fine. I was wary but headed off on the short jaunt. 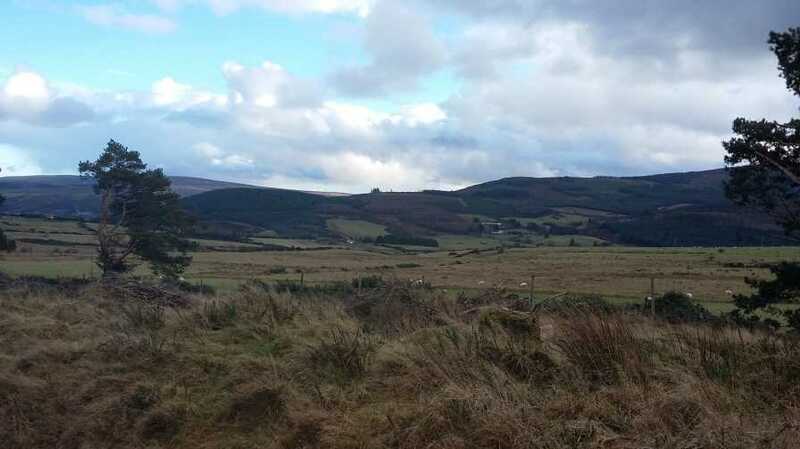 A view towards Seahan and the lower hills falling away from its northside quickly comes into view as no forestry blocks the view to the left (south) from most of the track. 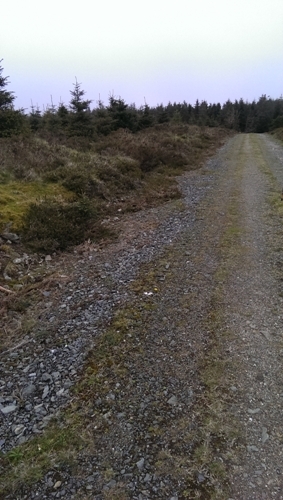 I was then startled by 4 deer running from left to right across the track into the dense forestry to my right. I continued on and reached the non-description summit area, without any real ascent, heading back the same way. On my return, whilst taking in the views nearby with the map in hand at the edge of the field beyond the car park, a van came out of the forest track I had used, the occupants having keys to unlock the gate and, notably, removing the sign. Picture from csd : The view south from the summit area. Picture: The view south from the summit area.